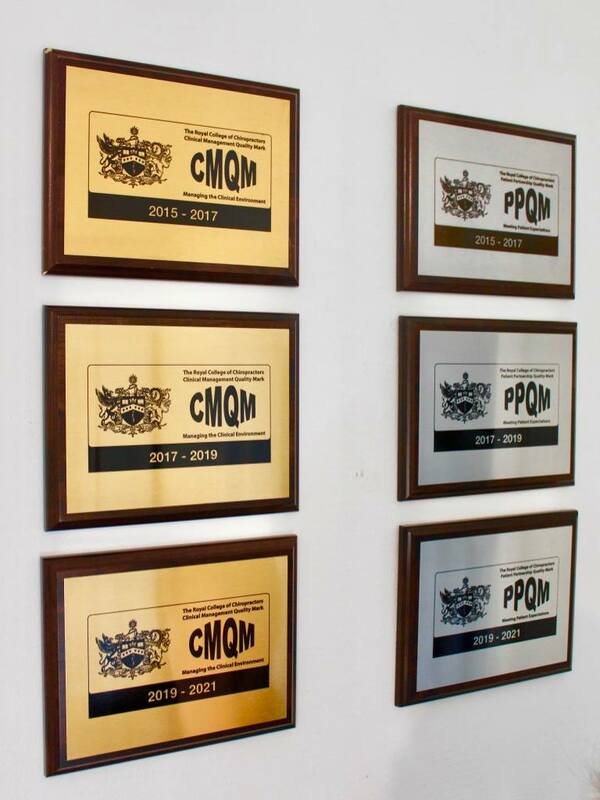 We received our plaques today for our Patient Partnership Quality Mark and Clinical Management Quality Mark, now proudly displayed on the wall in reception! We are proud to be the only clinic in the Emsworth and Havant area to hold these two national awards presented by The Royal College of Chiropractors. 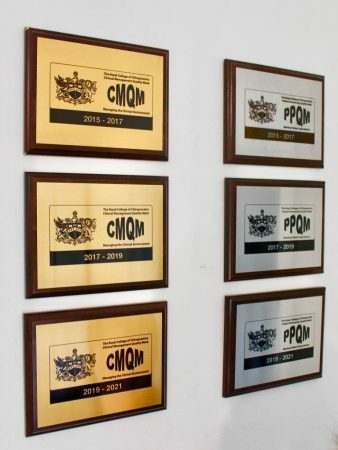 We have held these awards every year since the clinic opened, which is a huge achievement for our small business, but most importantly, demonstrates our dedication to you, our patients, year after year. The Patient Partnership Quality Mark is awarded to clinics that demonstrate excellence in meeting patient expectations in a range of areas including accessibility, cleanliness and safety and patient communication. The Clinical Management Quality Mark is awarded to those clinics that demonstrate excellence in terms of operating within a structured and managed clinical environment. The clinics must demonstrate excellence in a range of areas including clinical audit, incident reporting and patient satisfaction. 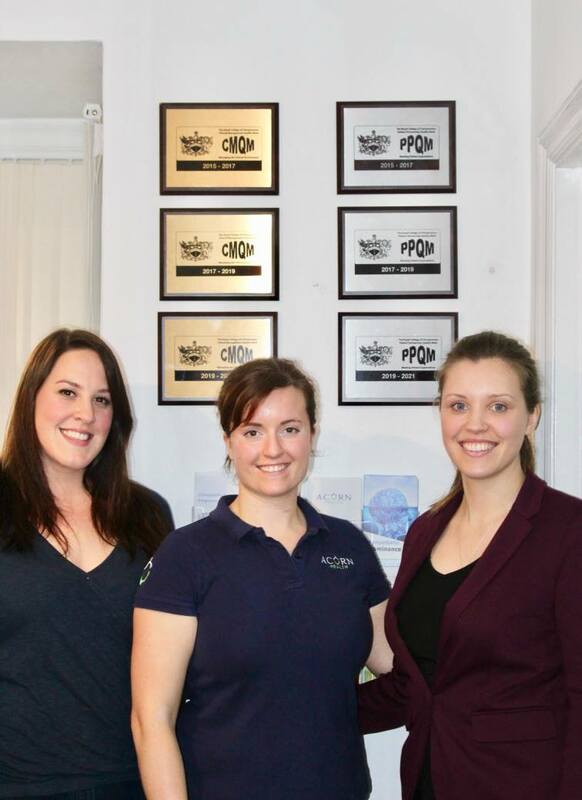 It’s so important to us that we meet the high standards of excellence set by the Royal College of Chiropractors as we want to provide the very best care and service to you that we can, and these awards let us know that we are achieving this.